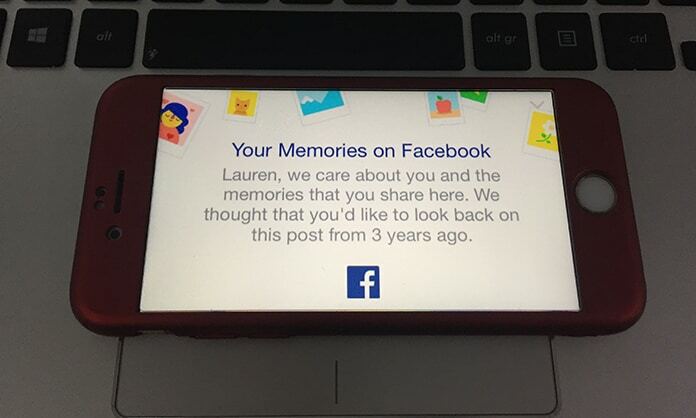 Facebook’s Memories feature is intended to provide happiness and relive pleasant memories from the user’s account. However, things don’t always work out as they were planned and Memories can sometimes serve up sad or negative posts from the past that you and other involved parties would rather just forget. This in itself makes a pretty strong case for there being some way to turn them off completely, sadly this isn’t the case. 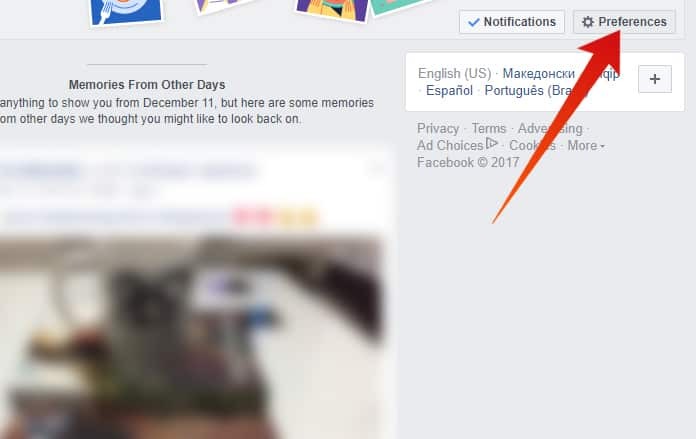 However, what can be done is to disable Facebook Memories notifications which will stop them from appearing on the timeline. This works only for the browser for right now. Mobile users can do so by just turning off notifications which should stop the posts from popping up in the timeline. 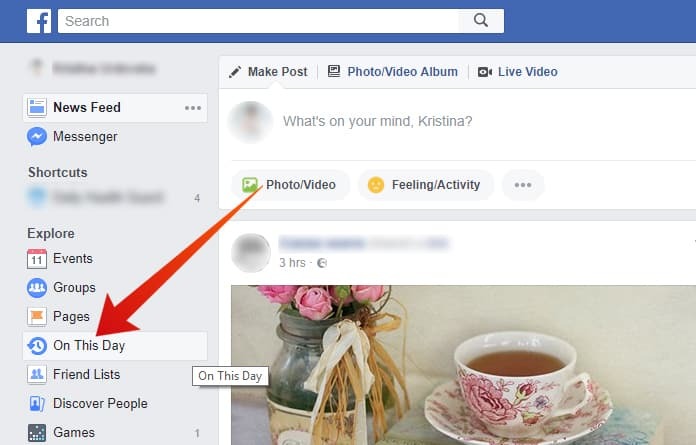 Step 1: To start off, go to Facebook from your preferred browser and then open your Newsfeed. Step 2: From the menu in the left scroll down to the Apps section and find ‘On This Day’. Step 3: Clicking on it will take you to the Memories page, where you will see many old posts etc. Keep in mind that there may be things here that you would rather not want to see or view, so be prepared. Step 4: From the top right go to Preferences and then on Dates. 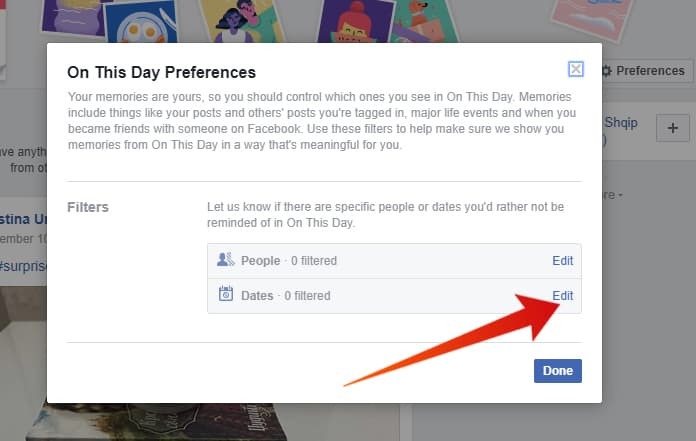 Step 5: In dates click on Edit to continue with the process to disable Facebook Memories notifications. Step 6: Click Select Dates and under Start you should see that instead of the calendar tool, you can just type a date from a really long time ago. For instance you can enter the year 1980. Step 7: Under end just input a date from really far off in the future, like a hundred years from now. What this will do is block all memories in this time period. 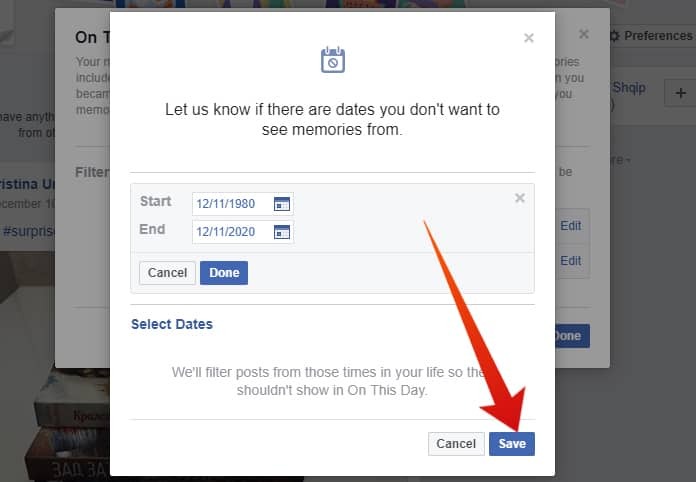 Since it isn’t likely that you will be alive, let alone actively using your account, for more than 150 years, the goal to disable Facebook Memories notifications will have been achieved. Please remember to like, share and comment!